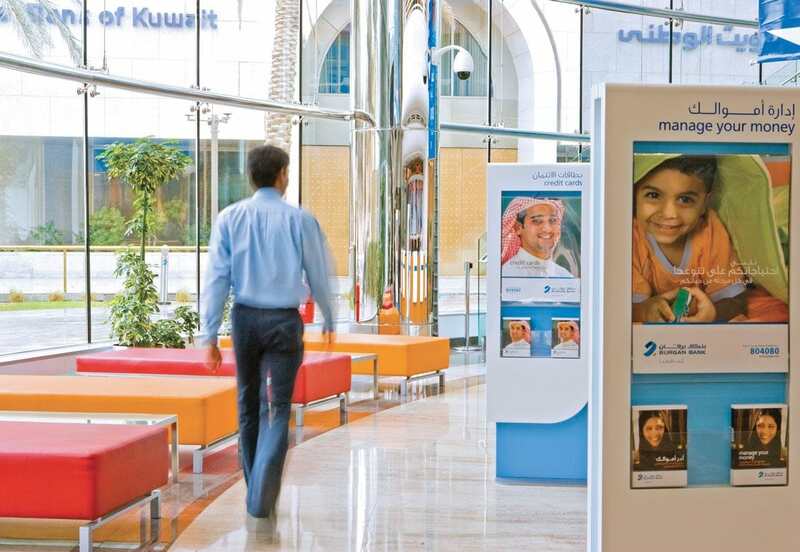 Transforming the brand and retail network for one of Kuwait's most dynamic banking groups. 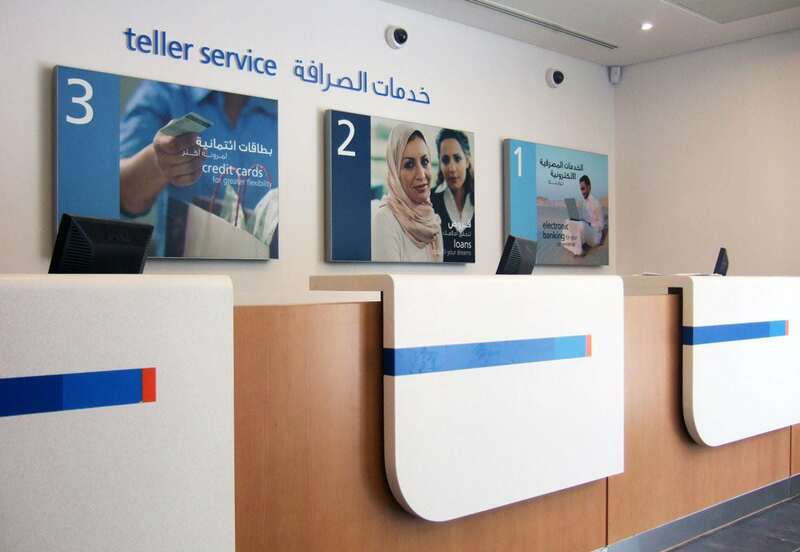 FDP worked with Burgan Bank to transform their retail network of 30 branches across Kuwait. A comprehensive network strategy was devised, providing a suite of new outlet types designed to optimise service. The location and profile of each branch was carefully analysed to ensure a targeted response to the market. The new interior concept offers a clean, 21st century banking experience with a distinctive mix of signature design elements, local touches and high quality furniture and fittings. Large scale graphic panels provide maximum exterior and interior impact. Generous seating and rich, natural surfaces provide a friendly, welcoming environment. Technology and communications are carefully integrated to ensure a streamlined, positive customer experience every time.